Can you imagine walking on a mattress every waking moment of your day? When MSers have this problems, this is how some of them describe it - how it actually feels to them. I've been dizzy to the point of not being able to stand. I hate it. I feel miserable and totally out of control. This problem is no fun for a healthy person who gets sick ever so often. At least we know it will go away sooner or later. That's not true for people with MS. When Cir described his imbalance in terms of walking on a mattress, that was when I finally "got it". Even though I can't experience the feeling first hand, I can relate to the mattress example. 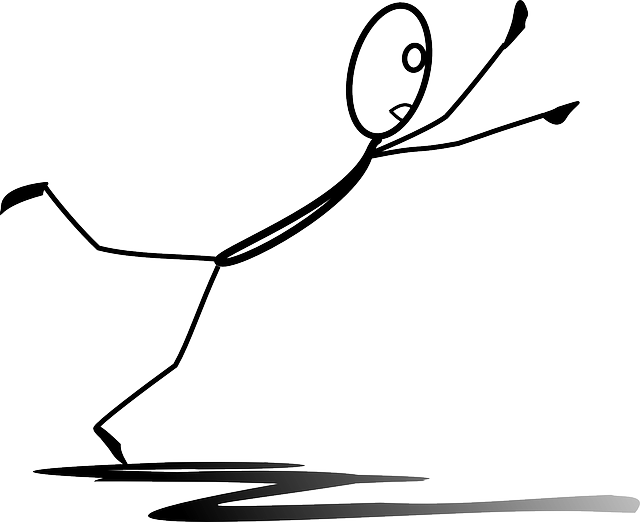 Almost everyone can remember walking on a mattress when they were little. You can remember how fun it was; even the loosing your balance and falling down part. Would you want to do it all day, every day, possibly for the rest of your life? I know I couldn't take it and I doubt you could either. For those of you who have MS and do deal with this problem, I admire your strength and courage. This MS symptom can affect your ability to stand and also the way you walk or gait problems. 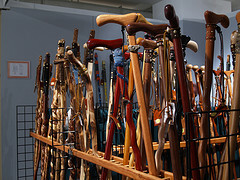 Most of the time you can't do either without the use of a cane, and sometimes even a walker or rollator. When Cir worked, he used a cane. I know it wasn't the easiest thing for him to deal with, especially at first. He worked at a job where standing and walking was an integral part of the job. He was literally on his feet at least six and a half to seven of the eight hours he was there. Even going part time didn't really solve the problem. We even thought about getting him an electric scooter. At the time, however, we knew nothing about the MS Loan Closet which loans items like this to people with MS. We just knew that on our own we couldn't afford one. So, as a result, that wasn't an option. I was always afraid of getting a call from the human resources department. "Hello. Is this Cir's wife?" "Well..., no. We had to call an ambulance. Cir fell and hit his head. You need to go to the hospital....."
No, I did not want to get that call. When he came home one day and told me he had fallen, I was officially from then on a nervous wreck. I only relaxed when I picked him up and saw that he was still in one piece. One thing I never do anymore is take Cir's stability or my ability to hold him up, for granted. I used to run up behind him, tackle him, and give him a big hug. We do hug now, just much more carefully. We make sure Cir is either sitting or standing near something just in case. I sometimes miss the spontaneity we once had. But we still have fun. We laugh about everything, including the times we almost lose our balance. Laughter is a very important part of managing and dealing with the challenges of MS. And we do it often. Hey, life's too short to spend it being angry or upset. Live and laugh, even if you do fall over while you're doing it.